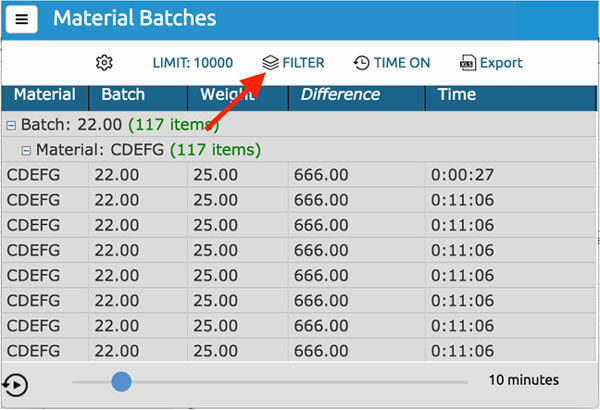 You can easily filter your data in the data-log view based on time intervals. However, in some situations, it might be necessary to filter your data based on the data itself. In the example below, you can look at a situation where filtering data is an essential functionality. To enable data filtering, you must specify which data points should be used as data filters. You do this in the data point definition in your data-log definition. Usage is quite simple, just check the Key check box for all the data points you want to use in data filtering. Now write down the material name and you will see that your table will show this material.